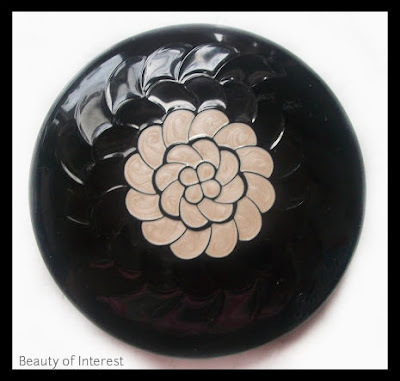 Beauty of interest: Guerlain Wulong meteorites pressed powder (from the Liu Holiday 2012 collection). 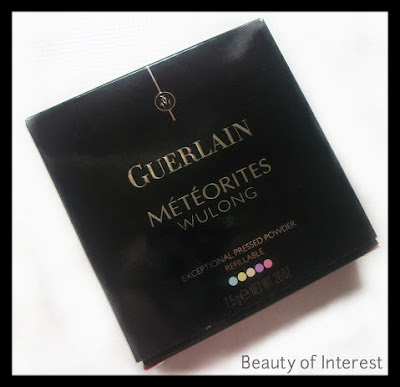 Guerlain Wulong meteorites pressed powder (from the Liu Holiday 2012 collection). One of bigger holiday collections this year is probably the Guerlain one. Every year they come out with a couple of palettes, new lipsticks and of course new meteorites perles (and usually a spraying powder as well). This year collection is called Liu and is inspired by the brand's classic fragrance Liu, which was at the time inspired by the heroine of Puccini's opera 'Turandot'. A lot of Oriental hues featured in this collection which makes this limited edition collection exquisite as only Guerlain can be. This collection is bigger compared to most other high end brands like Chanel or Dior. - Liu Eyes & Lips Calligraphy ($79) palette which contains 4 eyeshadows and 2 lipsticks. This palette is inspired by the city of Shanghai in the 1920's. - Perles du Dragon meteorites perles ($58): dedicated to 2012, the year of the dragon. At first glance, I thought I would walk out with the Calligraphy and the Dragon meteorites perles for sure but I decided that I would probably have no use for them anyway. The Wulong pressed powder was very eyecatching as well but for that price, I would rather buy more shoes or clothes it would have been more wise and responsible to spend that kind of money on other things instead. But faith has decided otherwise and I got the Wulong powder as a gift from a person who is really dear to me. No need to say that I was over filled with joy so it seems appropriate that Wulong should get its own post (and review) here. As usual the packaging of any Guerlain powders are to die for and this year they didn't disappoint for sure. 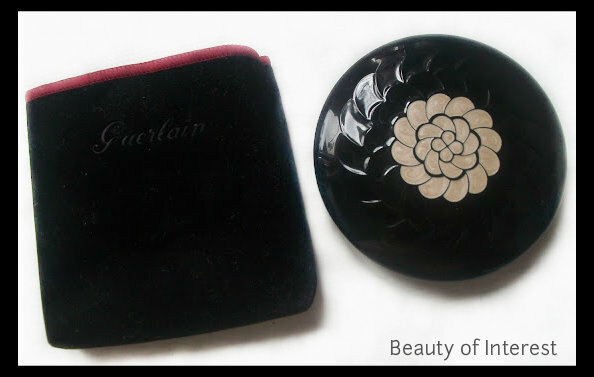 Like most of the Guerlain powder items, the powder comes in an elegant and luxury velvet pouch to protect the packaging from scratches or other dammages. The black and pink case is made from a heavy and sturdy metal material and won't be prone to break easily. Safe to carry around in a handbag although I can see some might find it a little too heavy to use it on a daily basis. The best part is that it's refillable so once the powder is finished, it's easily replacable by the Voyage meteorites refill powder. It will fit into this Wulong case perfectly. 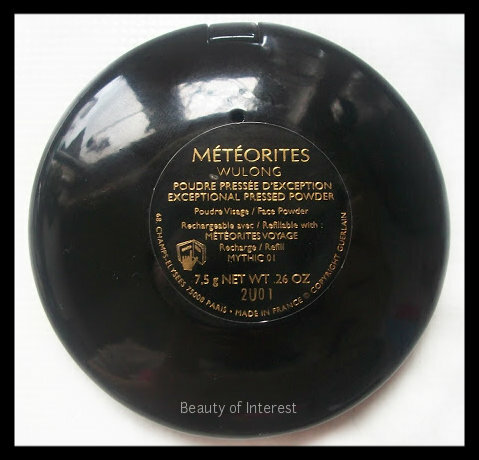 The powder itself is supposed to be the pressed version of the meteorites perles which Guerlain is very famous for. Although I'm not the biggest fan of those meteorites perles, the pressed powder is definitely easier to use and to carry around. Instead of swirling a brush in a cup with loose powder perles, this powder can be used like any other type of pressed powder. The first thing I noticed when I opened the case is the smell. All of the Guerlain products have a scent to them but this one in particular was heavily scented. Reminds me of the smell of very sweet candy which can be a turn off for most people. Although I do have a sensitive nose, the smell in particular doesn't seem to bother me. 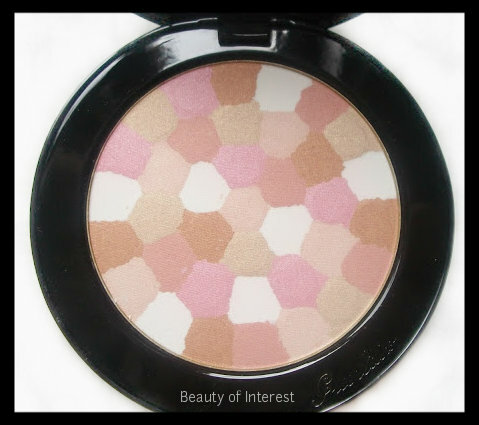 The mosaic pattern of the powder is colored but once applied to the skin it's totally translucent and therefore perfect to use it as a setting or 'all over' powder. 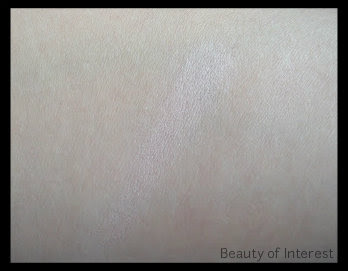 When first looked at it there are some tiny subtle shimmer particles in this powder but they seem to disappear once applied to the skin. This makes it an excellent finishing powder after applying make up and for touch ups during the day if the heavy packaging isn't an issue of course. To conclude all of this, it's a nice but don't expect any miracles from this powder since it's hardly a life changing product. 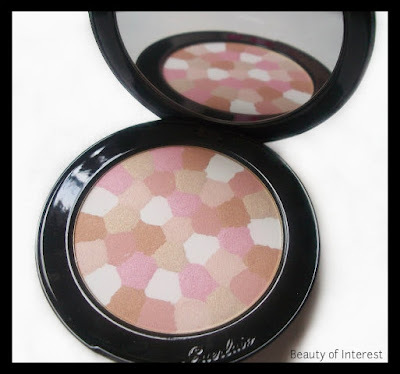 The Guerlain Wulong powder is an absolute splurge, considering the $170 price tag but is it a must have item? In my humble opinion no it is not worth that much but for those who are looking to own something luxurious, this Wulong powder will be right up your alley. Guerlain Wulong powder is a limited edition product and can be purchased at any Guerlain counters. *chokes with the price of this product* :P Can you tell me what you mean by "spraying powder"?